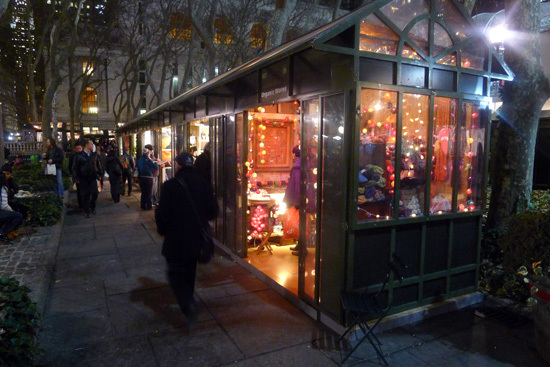 Today Tricia of Fashion Herald shares one of her favorite accessory booths at The Holiday Shops at Bryant Park. 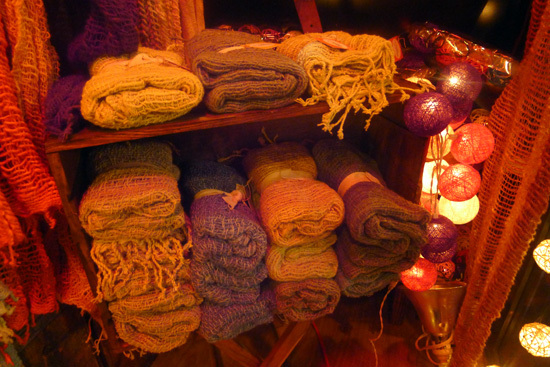 The photo above says it all: luxurious, hand-made scarves are the focus of the Organic Wares booth, and are just what you need for being such a good Santa Claus this holiday season. Yes, it's that time of year to treat yourself to something special. 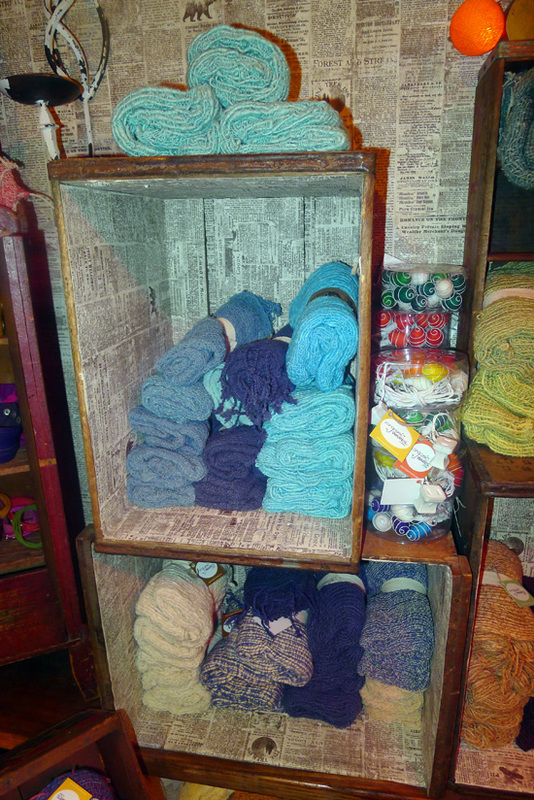 Organic Wares also has pretty, decorative lights, beautiful and colorful cuffs, and a small but well-edited selection of jewelry. But sure to stop by this corner booth on the north side of the park before the end of the Holiday Shops season. 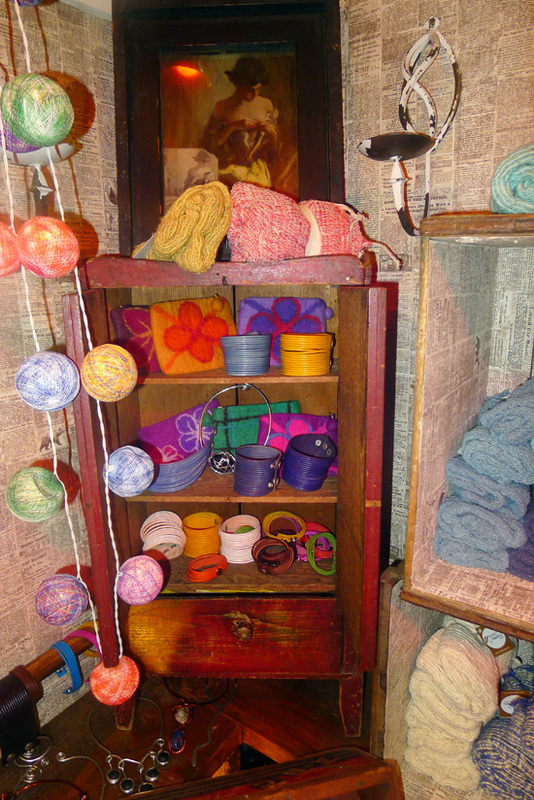 You can't miss it, it's the warm, festive kiosk with all the pretty lights!